Mark is a Senior Vice President at Leggat McCall Properties and has more than 20 years of experience administrating major projects with almost $1.5 billion of urban high-rise/deep-foundation work on his resume. In addition, he has experience managing all phases of design and construction, contract negotiations and due diligence for the firm’s various development projects. He is currently working for Harvard University as Owner’s Representative for construction of the new Science and Engineering Complex in Allston as well as various assignments for Brigham and Women’s Hospital. 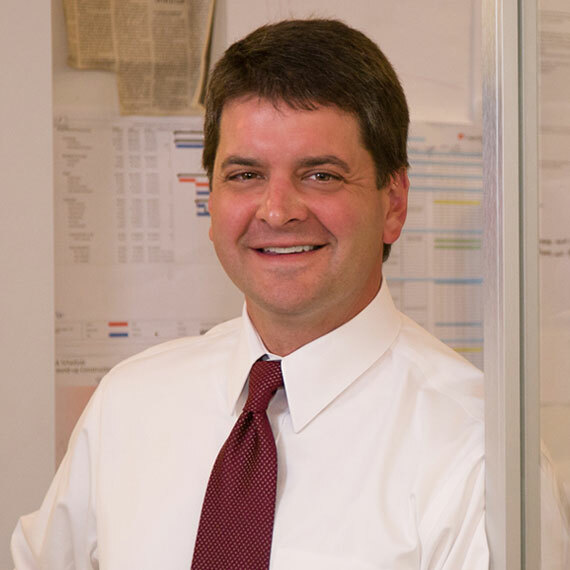 Mark’s past experience includes the Lunder Building and Yawkey Center at Massachusetts General Hospital, the Shapiro Cardiovascular Center at Brigham & Women’s Hospital and Waltham Woods Corporate Center. Before joining LMP, Mark was Chief Estimator and Director of Procurement for Greene Construction and held various positions for several general contractors servicing corporate, healthcare and life sciences clients.